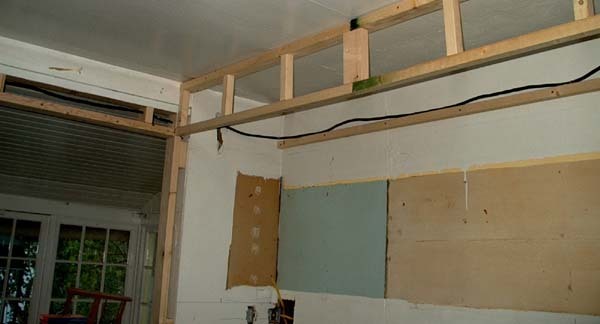 Between Weekend 2 and Weekend 3, I finished the framing for the soffit above the counter. We then had a 3-day weekend in which to work. 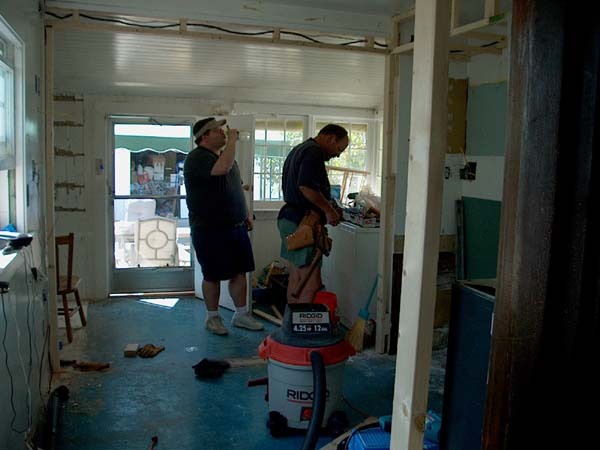 We did fairly well and managed to work a solid two and a half days. Rich once again lent a skillful hand on Saturday. 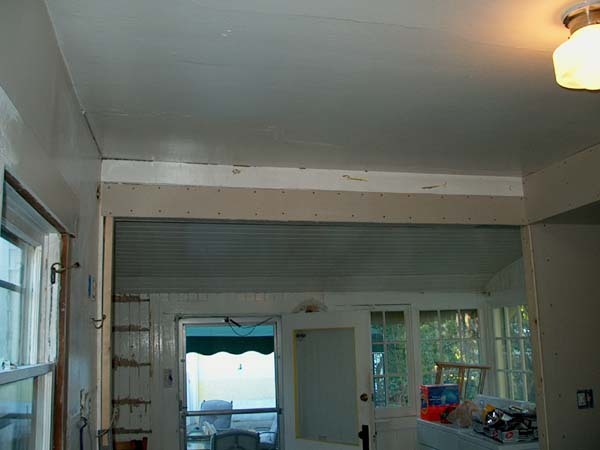 The front framing for the soffit above the counter. 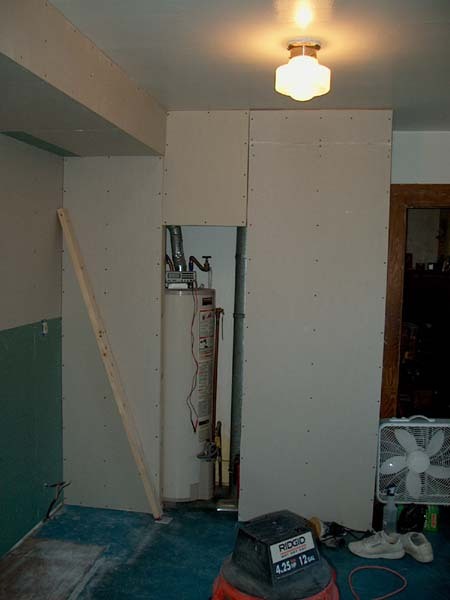 This picture proves that I'm not insane--a removable panel can be made to look like a wall to hide that fugly furnace! 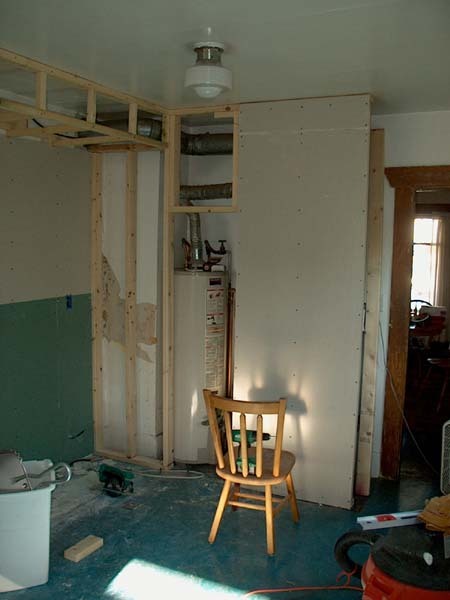 There will be two doors that allow access to the water heater and furnace when needed. 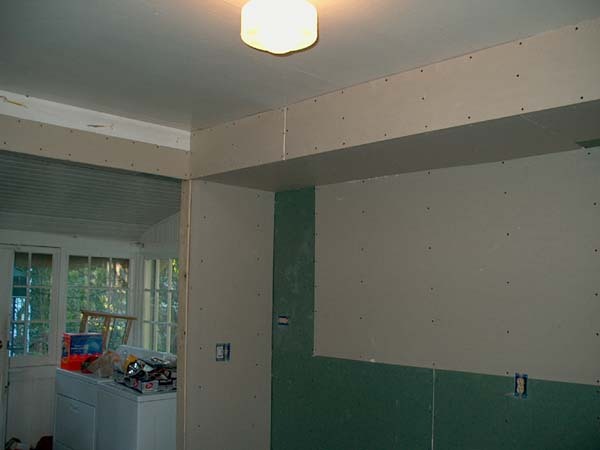 Most of the drywall is now up, so you can see how the room is taking shape. 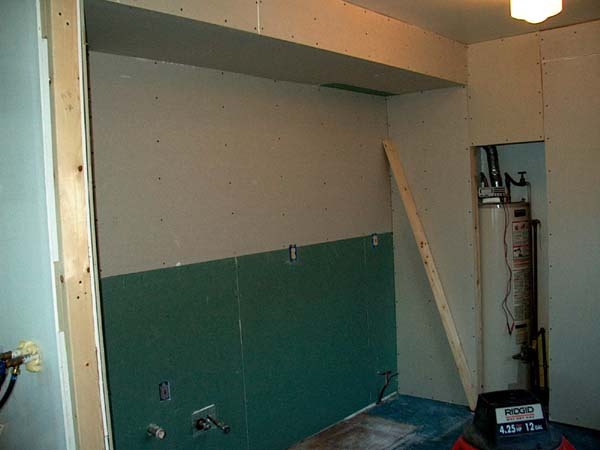 Here you can see how the new wall end and soffit will make for a very nice sink and main counter area. 9 solid feet of cabinets and counter!